Let’s face it, nobody likes going through the ordeal hiring a plumber to fix minor plumbing issues at home. But time and again, it is these minor issues, such as a leaking faucet, that snowball into bigger problems. DIY repairs can save you a few bucks at best but can’t secure your home in the longer run. This is where a professional plumbing service provider can help you out. Professional plumbers have the backing of years of expertise and knowledge. 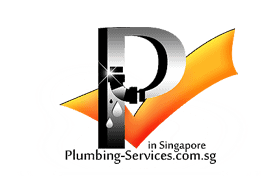 When you hire a certified plumber, you can be sure of receiving the best possible plumbing services. All you would need to do is place a call and schedule a time. Certified plumbers who have adopted industry standards and best practices make it a point to never miss a deadline. What is more is that complete all projects within stipulated deadlines. On the other hand, plumbers who aren’t certified will struggle to get the job done swiftly. Moreover, they often shoot over the initial quote. Let us think about the much feared, worst case scenario – what if your plumber does a bad job and ends up hurting himself? Or worse, what if your property gets badly damaged? This is exactly why insurance is of the utmost importance. To put it bluntly, every plumbing project carries a bit of risk with it. No plumber, no matter how experienced he may be, can guarantee you complete security. But professional plumbers can certainly cover you with a good insurance plan. So in case something does go wrong, your damages will be compensated for. Just how many times have homeowners run into servicemen who always charge more than their initial quotes? This not only is a serious disservice but also hampers your plans and budget big time. Professional plumbers know how to treat their customers right and always quote the right price, and stick to it when the project is over. No hidden costs and no commissions. They accomplish this by having a sharp eye during the inspections. Years of experience means that they can easily tell how much each repair is going to cost. What is more? They also give you a timeline and never postpone their objectives – leaving you and your daily life in disarray. The advent of the internet has given homeowners plenty of resources to experiment with DIY repairs and fixes. But like we stated before, nothing can truly secure your equipment and home in the longer run. Imagine having a choke in your toilets. The first thing you’d do is google “how to avoid choke in toilet/sink”. Sure, you may stumble across some useful tips and may get the job done for the time being, but what if there is a deeper problem? Such as a clogged drain or a clogged pipe that needs a pair of expert hands? The problem with DIY fixes is that they don’t take into account possible underlying issues. 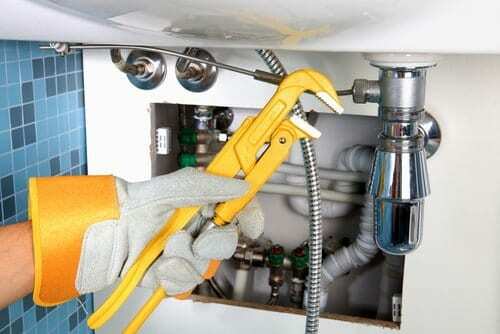 A professional plumber knows how to inspect the problem area, and its surroundings to make sure that everything is alright before a course of repair is determined. A great way to find a reliable plumber is to look at their track record. If that is too much work, then you can always choose to get references from your next door neighbors or friends. Chances are that if your friends have loved someone’s work, you will too. So this is one of the most effective ideas to find and hire good plumbing service providers to get the plumbing jobs of your home or office done. So you’ve just gotten your sink replaced – but how do you know if replaced parts are built to last? What if you run into the same problem a few weeks down the line? Are you going to shell out extra cash to get the same job done again? This is exactly why professional, certified plumbers give out warranties with every part they replace. This way, you’d have peace of mind that the repairs you paid for will stand the test of time. Experienced plumbers never make excuses. They respect your time, your money and most importantly your home. This is exactly why most professional plumbers always arrive on time with all equipment handy. Plumbing is a complicated job, that might sometimes involve new equipment to be brought in. If your plumber doesn’t have the necessary tools, he will always know how to acquire them in a timely fashion. Homeowners who have dealt with unskilled repairmen know the reality of how bad things can get. A professional plumber, on the other hand, will give you a first-hand account of every move he is going to make and keep you in the loop as to how the repairs are going to be done. Best of all, they never create a chaotic atmosphere so that you and your family can always just sit back and relax! Probably the most appreciable quality of a professional plumbing service provider is that they’re always willing to correct any mistakes with their work. If you ever stumble across a pipe that hasn’t been properly fixed or a sink that isn’t fully unclogged, you can always reach out to them for support and they will be ready to fix the issue at the earliest. And all this will obviously be done at no extra cost. In essence, a true pro will always be polite, and respectful to you and your problems and attend to them diligently. 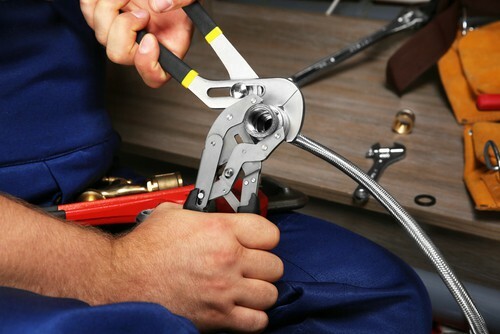 These are the true benefits of hiring a professional plumbing service provider. If you’re planning to hire inexperienced, noncertified servicemen or trying to dive into DIY fixes, then we suggest that you drop the idea right now. Professional plumbers aren’t expensive and will save you money in the long run with reliable and quality repairs. Do your research and simply call the nearest certified plumber now!